Exploratory data analysis is a fundamental aspect of knowledge discovery that aims to find the main characteristics of a dataset. Dimensionality reduction, such as manifold learning, is often used to reduce the number of features in a dataset to a manageable level for human interpretation. Despite this, most manifold learning techniques do not explain anything about the original features nor the true characteristics of a dataset. 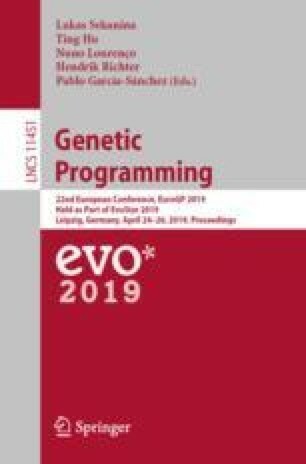 In this paper, we propose a genetic programming approach to manifold learning called GP-MaL which evolves functional mappings from a high-dimensional space to a lower dimensional space through the use of interpretable trees. We show that GP-MaL is competitive with existing manifold learning algorithms, while producing models that can be interpreted and re-used on unseen data. A number of promising future directions of research are found in the process.